Each academic year, Maastricht University holds an opening ceremony – this year, Frans Timmermans, First Vice-President of the European Commission was invited a.o. to attend the conference and give a speech on the topic of the conference: The responsibility of universities for sustainable development. 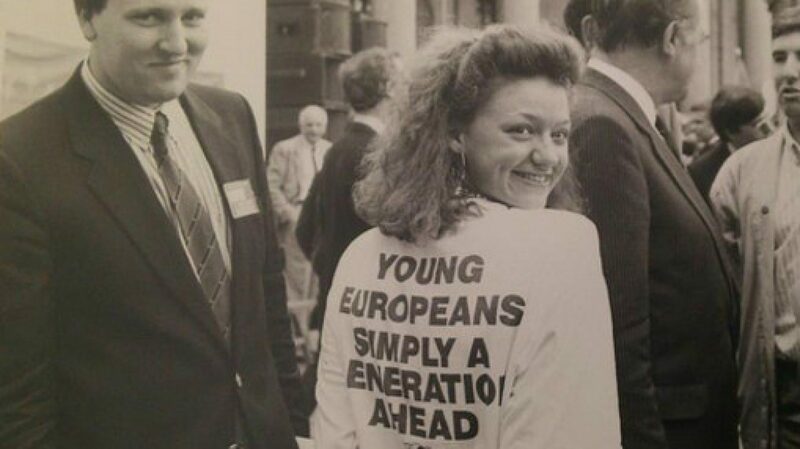 As Young European Federalists Maastricht, we were present – and positively surprised by the high quality and outstanding words the different speakers found. “The next generation will determine our fate. The next generation is no longer ideological, but it’s very idealistic. This idealism should be the building blocks of our society of the future. But let’s make sure that this idealism is based on a true understanding of individual rights, on a true understanding of democracy, on a true understanding of the rule of law and the need for independent institutions, especially the judiciary. With pleasure we join in in the fight for “a basic idea of an open society based on individual rights, founded in democracy, based on the rule of law”, as called for. The time, so Timmermans concluded, was ours. Dear Mr. Timmermans, be told: When it comes to going out on the streets, engaging in discussions, fighting for democracy and mobilizing people for what’s at stake – we’re at it. And we could use every support we get. Find more details on the full ceremony here.